Friday 5th July, we and Final Fantasy Dream were invited by Square Enix to an exclusive interview with Tetsuya Nomura. Tetsuya Nomura: Unfortunately we didn’t have any opportunity to put the french voice over in this 1.5 version so it’s going to be french subtitles only. Finaland & FFDream: How did you come to split the development team into two teams? How far are you involved in the development of Kingdom Hearts III? Tetsuya Nomura: For this HD version of Kingdom Hearts 1.5, the main programmers never actually worked in the Kingdom Hearts series before and they did all the remastering, all the processing, all the actual work by themselves and for Kingdom Hearts III the other staff is doing all the testing, deciding which kind of elements we want to put in the game and everything. Finaland & FFDream: With the acquisition of Marvel and Lucas Arts by Disney, could you imagine adding some kind of stuff from these licenses in the game ? Finaland & FFDream: Because you know that Kitase-san (Yoshinori Kitase) is a big fan of Star Wars ! So you have to do that ! Tetsuya Nomura: (laughs) We’re not going to decide it whether Kitase-san likes Star Wars or not but we’ve been talking about Star Wars itself since it became Disney’s content recently. When I eared the news I was like “Wow ! Wow !”. Yeah obviously it’s gonna be great if we could add it, but like I said there are a lot of restrictions and rules by Disney so we don’t know what’s gonna happen but yeah, we’ll see. Finaland & FFDream: Can we expect a multiplayer cooperative mode with many playables characters in KHIII ? Tetsuya Nomura: The Kingdom Hearts series always had Sora as the main character, so we want to make the most of Sora, playable Sora of course. But again, Kingdom Hearts III is going to be the last chapter of the Kingdom Hearts main numbering title series, so lots of fans actually want to play as their favorite characters in Kingdom Hearts III so we will consider that, we will listen to what fans wants but hopefully we could give you some surprises in the future announcements. Finaland & FFDream: You watch a lot of movies, how does that inspire you ? Do you pick some ideas in the movies you watch ? Tetsuya Nomura: I watch movies a lot, I mean A LOT (laughs), normally like two, three films a day, it’s my pace. I watch quite a lot so I don’t always remember the names or titles even. So I watch and then I get a bit of inspirations from films and stuff, I can’t name the actual titles of the movies that actually inspired me to create games but when I’m watching movies sometimes I feel like “ Oh ! That’s nice !” or “That’s good!”, something like that. Finaland & FFDream: Nomura-san, your character outfits are more and more detailed. When we saw Cloud for the first time in 1997 and now Noctis in 2013, there’s a lot of greatness in them. Have you received some fashion lessons or do you just follow fashion ? Tetsuya Nomura: Obviously I always think about the current kind of trend and fashion and everything when I create the characters but this time for XV and Noctis and all the main characters that have been revealed, this time we actually asked for a professional brand to create the characters outfits, we also have the actual clothes in the office so our CG team and all the teams can actually see the clothes with their own eyes to create exactly the same image in the game. And that’s really easier because previously when I created the characters, all the CG team and all of our entire development team always asked me “Is this leather? Is this coton? Is this nylon? How many percentage ? Dadadada” That’s a lot of detailed questions so it’s always difficult to precise what kind of texture are the clothes made off and stuff like that, so that’s why this time we had the actual clothes made and then we take it from there and put it in the game. Finaland & FFDream: Nomura-san, you work on a lot of project like Final Fantasy XV, the Kingdom Hearts Saga, The World Ends With You. How do you manage all the projects you have at the same time? Tetsuya Nomura: Actually I am not very good at managing myself, especially at managing lots of different projects, but because of my staff and all the staffs are very very intelligent, very good and very capable I’m able to run all the different projects at the same time. And also the most important are the Co-Directors in each project, again they are very capable and skilled people, they are the people actually managing the actual everyday job on the ground. That’s why I’m here, they are supporting me all the time. Finaland & FFDream: You’ve created a lot of characters for the Final Fantasy series. What’s your favorite character between all those you’ve created ? Tetsuya Nomura: Hmm if I had to choose a favorite character, I would say Sora, and Noctis. Why them? Of course Sora, I’ve been together with him for more than ten years now, this is the first time i’ve been with a character for such a long time, so he’s very very special for me and he’s been adopted by Disney also, so he’s a very very good boy. More like a good son actually. 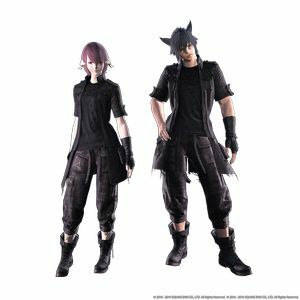 Finaland & FFDream: Okay, one question Tetsuya Nomura, very important for us, and for Hideo Kojima because Hideo Kojima said he’d love a remake of Final Fantasy VII, but what about you ? Would you like to play a Metal Gear Solid 1 Remake ? Tetsuya Nomura: To play ? Tetsuya Nomura: Of course I’d like, if he were going to do a MGS remake. Finaland & FFDream: And what do you think about the differences between the Fox Engine and your own Luminous Engine ? Finaland & FFDream: A Final Fantasy XV question, what should we expect in terms of vehicles ? Can we pilot airships and explore the world of Final Fantasy XV and discover its secrets ? Tetsuya Nomura: We don’t have any big plans for having different type of vehicles and stuff like that. There’s one you saw in the recent trailer of course. Finaland & FFDream: A motorbike ? Tetsuya Nomura: (laughs) In Final Fantasy XV you play as a party, you’re always with your friends so five guys riding a motorbike together, I’m not sure if this would works. Finaland & FFDream: In a gang ! Like Kadaj, Loz and Yazoo. Tetsuya Nomura: (laugh), yeah maybe it doesn’t look very good in a game. Finaland & FFDream: Why did you change Stella’s design and made her look so much younger. Is it because of story development or because you made a survey with the audience ? Tetsuya Nomura: There is no specific reason behind hit, but we didn’t want to make her look younger, we just wanted to make her a little bit prettier. That’s all. Finaland & FFDream: But in 2007 she was very nice ! She’s very nice and still pretty but she’s still a little younger. Tetsuya Nomura: When I created Stella, back in 2007, I actually created something that is not my type of character, but obviously time has past since then, about six years now, and then she actually became something that I quite like now. Finaland & FFDream: In the trailer we could briefly see Noctis with red eyes. Will the red eyes give him some sort of special power during the battles ? Tetsuya Nomura: In the last promotion trailer, Noctis got red eyes because he got the ability of teleportation, so that’s why when he did that, his eyes got red. Actually Visual Works created the trailer back then in 2007. When you actually play the game, you can’t really see and zoom in the face of the character anyway. And he moves very fast as well so... if the character’s face is actually seen in a zoomed-in on the screen, we probably could still make his eyes red but we haven’t decided whether we’re gonna need the red eyes or not. Finaland & FFDream: The game looks very serious and fatalist. Have you planned to add some sort of fun moments or funny mini-games ? Tetsuya Nomura: We are actually thinking to have some sort of fun elements in the game, but for the moment the priority is to create the main game itself. I will add or not add stuff like that depending on how the development of the main game goes , but yeah we are thinking about that. Finaland & FFDream: About the artistic direction of the game. The appearance of the Kingdom of Lucis is much like the Shinjuku district in Tokyo and Accordo has the same feeling of Venice, in Italy. Can we hope to see some places inspired by the french regions perhaps ? Paris perhaps ? Tetsuya Nomura: Well do you have any games actually based in Paris ? Finaland & FFDream: Deling City from Final Fantasy VIII with the Arc de Triomphe. Tetsuya Nomura: If we’ve used it before we might not want to use it in a new game (laughs). So i’m not sure about using Paris. In my opinion, in lot of RPG games there are many European motives, European things, cities and stuff where your characters live and play but you guys still think like you need more European things or French things? Finaland & FFDream: We’d just love to see that in Final Fantasy, we are sure it would be very nice. Tetsuya Nomura: Well we’ll thing about that, that’s all I can say. Finaland & FFDream: Thank you very much ! Tetsuya Nomura: I can’t say anything specific now but it would be... quite difficult, to have a girl playable. Finaland & FFDream: Question about this place, we are in Japan Expo, there are more than two hundred thousand people there, loving japanese culture so much. We actually watch anime in original version and we watched Final Fantasy VII Advent Children Complete only in japanese. Tetsuya Nomura: That all depends of the capacity of the disc. The two main reason are the disc space and also the lip sync, because if we’re making the game, with the characters speaking in english but with the voices in japanese, the lip sync would not match. Even though you’d prefer having the japanese voices? Finaland & FFDream: Yes, actually, please, we have a solution for you, can you think of a limited edition with only japanese voices and french text, would it be possible to do that? Tetsuya Nomura: You really want this that much? Finaland & FFDream: YES YES YES we really want japanese voices. Tetsuya Nomura: (laughs) You’ll have to say this YES YES YES to Square enix though for not to me. 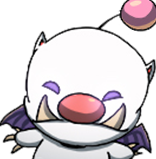 If you guys really want THAT kind of request very much from all the fans and all the community side and everything, it would probably be best to tell Square Enix France or Square Enix Europe to make that happen. Square Enix France of Europe could speak to Square Enix Japan and it probably could make it happen, but we’ll see. Finaland & FFDream: Thank you ! 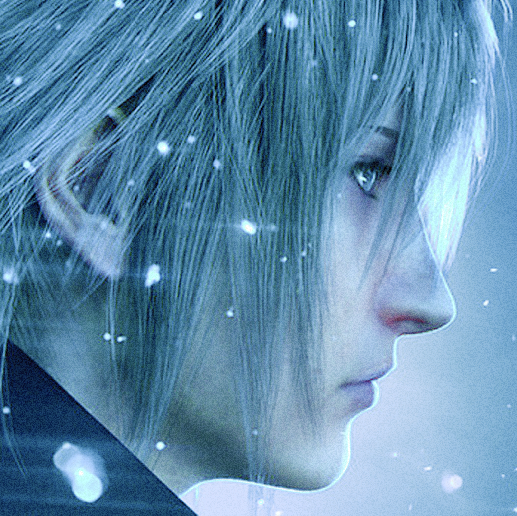 Tetsuya Nomura: At some time I said that the game was gonna be over when Noctis died, when we were talking about Versus XIII, but now as Versus XIII became Final Fantasy XV we haven’t decided it actually so we can’t really say if it’s going to change or not, we’ll see. Finaland & FFDream: Will we be able to customize weapons and equipments of our characters ? Tetsuya Nomura: I’m sorry but we can’t say anything about that, yet. Finaland & FFDream: What can you tell us about the future of Dissidia, on PSVita or PS4 maybe ? With the addition of Noctis ? Tetsuya Nomura: I’m not that heavily involved in Dissidia project, but if director Takahashi want to include Noctis in the next Dissidia game, I would probably think about it then, but I can’t really say anything so far. Finaland & FFDream: It was GOOD ! Tetsuya Nomura: (laughs) Actually that recording was, yes, happening in Artnia, recorded by the promo and publicity staffs. There was not even a microphone there, so it probably was quite difficult for you guys to listen to what I actually said. I was myself really surprised as well because Sony said they needed a video message so that’s why we did it, only a couple of days before flying for E3. Finaland & FFDream: What will the addition of Hajime Tabata, the great producer of Final Fantasy Type-0 bring to the FFXV team ? Tetsuya Nomura: The reason why we bringed Tabata-san into the team is because he always said to me that it wanted to join the Final Fantasy XV project. I asked him in the team, his vitality and mentality are always very motivated and very high. In the future campaign and until the game is out, Tabata-san himself will be going to speak in front of you guys more often so please ask him in details when he’s available. Finaland & FFDream: Nomura-san can we imagine that you’ll work on Final Fantasy XV-2 just after finishing the first one? Tetsuya Nomura: Obviously we haven’t decided yet. We don’t have any concrete plan for a future sequel of FFXV, it would be good if we could do that but we can’t announce it or say anything into detail for the moment so wait for future informations. 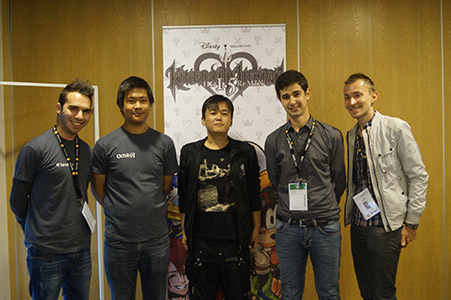 Finaland & FFDream: Last question, Nomura-san it’s the first time we saw you with the fan communities in France, we are very happy to see you. Do you think that you will come again next time ? Tetsuya Nomura: Of course i’d love to come again, but other people working on my project obviously want to come to meet the fans and meet you guys as well, so we’re gonna decide depending on what kind of event or opportunity we’ll have in a future. You guys definitely want to see the same face every year so (laughs) we’ll see about that. Finaland & FFDream: We always see Kitase-san and Toriyama-san. Hashimoto-san too. We saw them every year for XIII, XIII-2, Lightning Returns. I saw Shinji Hashimoto in 2010 and we talked about Versus XIII and we were talking about teleportation in the game and he said “Oh I don’t know if Nomura-san will do that” and now we actually see that in the game and it’s just amazing. Tetsuya Nomura: This time I came here to promote Kingdom Hearts 1.5 (laughs) so it’s a bit early for me to talk to you about the details of Final Fantasy XV, but when we’ll have to decide when to release, or for the campaign kick-off i’ll probably come back again, we’ll see, and thank you. The next day, Nomura made a special appearance in public for the first time ! He never did that before that day. The public were very excited and Square Enix loved the warm welcome. The guests left with great memories! Stay tuned to Finaland for more surprise ! We would like to thank wholeheartedly the staff of Square Enix France for allowing and organizing this interview with patience and kindness. Cette news a été postée le 07.07.2013 à 01h10 par Fat Chocobo. Cette news a été lue 51839 fois. La news anglaise a été lu 7 fois plus que la news française.